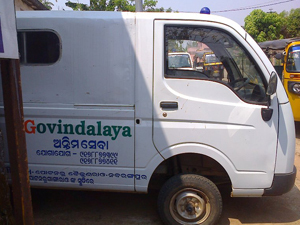 Since inception in 2012 June we have been managing Ambulances and offering Patient Transport Services in and around Nabarangpur (Odisha). By now we have transported 763 patients (comprising some very critical cases) to Multi Speciality Hospitals at Jagdalpur (Chattishgarh), Visakhapatnam (Andhra Pradesh), Bhubaneswar and Cuttack of Odisha. And to District Head Quarter Hospital of Koraput (Odisha). Note: Nabarangpur district wherefrom we operate doesn’t have any multi speciality hospitals in the vicinity and critical patients are referred by Government hospital available at Nabarangpur to hospitals of other cities mentioned above. And Odisha Government’s Ambulance Services (known as 108 Services) except in very few cases does not transport patients to out of state. Further, at times availability of 108 services becomes an issue. Our services, hence, meet this gap and work as a complimentary services to augment health services offered by Government of Orissa at district level. Our dead body transport service costs us INR 20000 a month which includes staff salary and vehicles’ maintenance. Sponsor us of one month’s cost. We started this service in June 2013. So far we have transported 97 dead bodies from the places of accidents and different hospitals within and beyond state. It is to be noted that neither district administration nor district hospital of Nabarangpur has a single dead body carrier. Whereas people are willing and available to carry dead bodies from home to burial / cremation ground in a traditional way for last rites, Nabarangpur district does not have provisions or willing people to get the dead bodies from places of accidents and different hospitals where deaths occur to homes of the deceased. 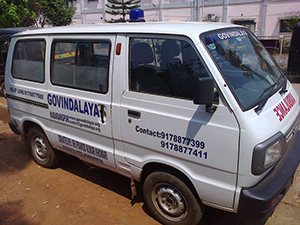 Our patient transport service costs us INR 25000 a month which includes staff salary and vehicles’ maintenance. Sponsor us of one month’s cost. In view of acute shortage of blood in the only Blood bank available in KBK region, we started Blood Bank Support Service in December 2013. So far we have conducted about 7 blood donation camps and collected 298 units of blood. Besides that we have enrolled 145 volunteers willing to donate blood to needy at the time of need. We have and manage uninterrupted services of 3 helpline mobile numbers (9178877411, 9178877399 & 9178877588) working 24X7 for general public to use as emergency numbers. On an average we receive about 23 calls a day on these numbers. During day time one can also call our office land line 06858-222588 and request for these services. Our helpline and blood bank service costs us INR 10000 a month which includes staff salary and phone bill. Sponsor us of one month’s cost. Please go to donate us section.